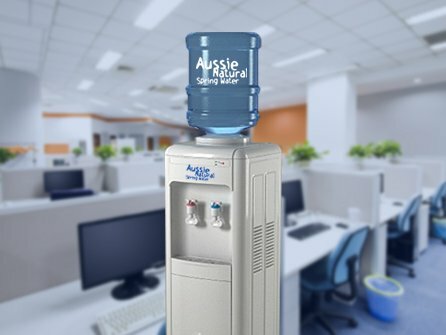 On the surface, hiring or buying a water cooler dispenser for your office or workplace can seem like a frivolous expense. When every company is trying to keep costs low and maximise profits, spending more money can look like a mistake. However, dehydration could be costing your business thousands of dollars each year and this can be corrected by a readily accessible water dispenser. Here are just four reasons why you may wish to give it some serious consideration. Mild or up to 5% dehydration can still have a significant impact on the productivity of your employees. Research has shown that even 1% dehydration can decrease productivity by up to 12%. The greater the dehydration level, the greater the productivity decline, with 4% dehydration causing up to a 50% performance drop. All employers appreciate the importance and costs involved in health safety policies. However, if your employees are dehydrated by even 1%, their concentration levels, cognitive abilities and reaction times will be significantly impaired. This means there is an increased risk of accidents and injuries on your premises. This higher risk means that not only will you have the emotional reaction to any injuries, but you could incur increased insurance costs and lost labour hours, which will impact your bottom line. As an employer, you are most likely to be all too aware of the dangers of stressed employees. A stressed employee is more likely to need time off work due to stress related illnesses and will not deliver their best job performance. However, you may not be aware that dehydration can be exhibit as a form of stress. The human body typically has a core temperature of approximately 37ºc and when the external temperature rises above this, the body reacts by using evaporation and the production of sweat to expel any excess heat. If the fluid lost when sweating is not replaced, the body takes water from cells, tissues and vital organs. This places the organs under stress, increasing the risk of severe dehydration symptoms and the onset of illnesses. Whatever your industry, if it requires human intervention, error rates become critical to optimising productivity and profits. Unfortunately, when the external temperature rises and the body cannot compensate due to dehydration the error rate exponentially increases. A NASA study found that telegraph key operators made an average of 5 mistakes in the first hour at 27ºc, but this rate increased to a massive 60 errors in temperatures of 35ºc. Whether these mistakes are customer service, production or computing related, they could add up to untold expenses for your business. 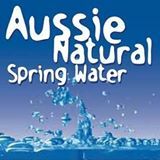 A 1% dehydration rate equates to a fluid deficit of just 800 ml in an adult male weighing 80 kg. This highlights the importance of your employees having access to good quality, excellent tasting water throughout the day. If you would like to know more about the benefits of having a water cooler dispenser in your home or business, contact us. Our team would be happy to answer any queries and questions you may have.